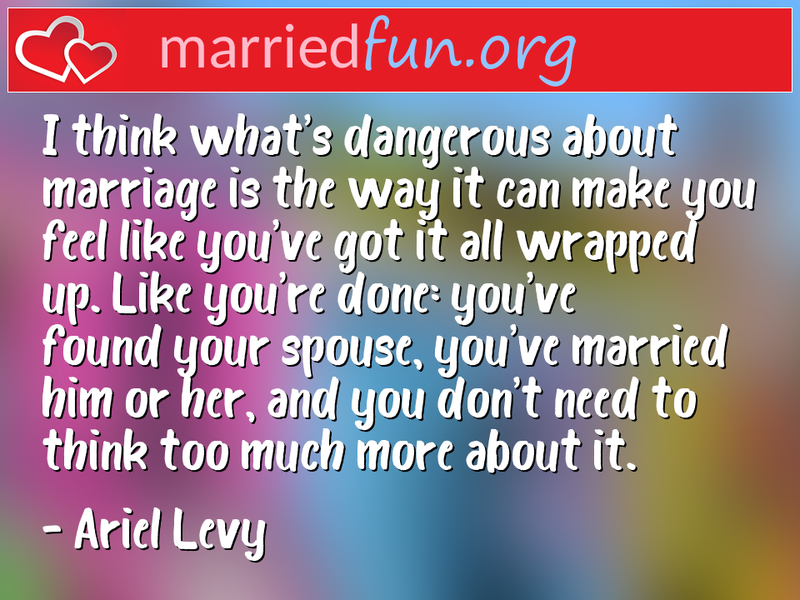 Marriage Quote - I think what's dangerous about marriage is the way it can ... - Married Fun! I think what's dangerous about marriage is the way it can make you feel like you've got it all wrapped up. Like you're done: you've found your spouse, you've married him or her, and you don't need to think too much more about it.